HS1 Ltd has assessed the economic impact of the UK’s first high-speed line as it approaches a milestone 10th year. According to findings, HS1 has attracted a minimum of £3.8 billion in economic and social benefits since domestic services began, which was two years after its official opening in November 2007. In addition, 5,766 tourism sector jobs have been created and supported by HS1 since the opening. HS1 Ltd, which owns and operates the 109km line, said it has “set the benchmark” for future high-speed rail projects on a national and international level. In a report detailing the findings, HS1 said that Kent has since been opened up to a wealth of economic opportunities and is “now recognised as one of Europe’s top tourism destinations”. Over the course of four months in 2017, an independent research group of Visit Kent and tourism economists Destination Research, used train path statistics and qualitative and quantitative data from tourists and Kent businesses, to understand how, and to what extent, HS1 has impacted Kent’s visitor economy. The data was collected through primary and secondary research, including random sampling of visitors and a business survey. Measuring the line’s economic impact, the economic contribution to Kent’s visitor economy has been estimated at around £311 million since domestic high-speed services were launched in 2009. 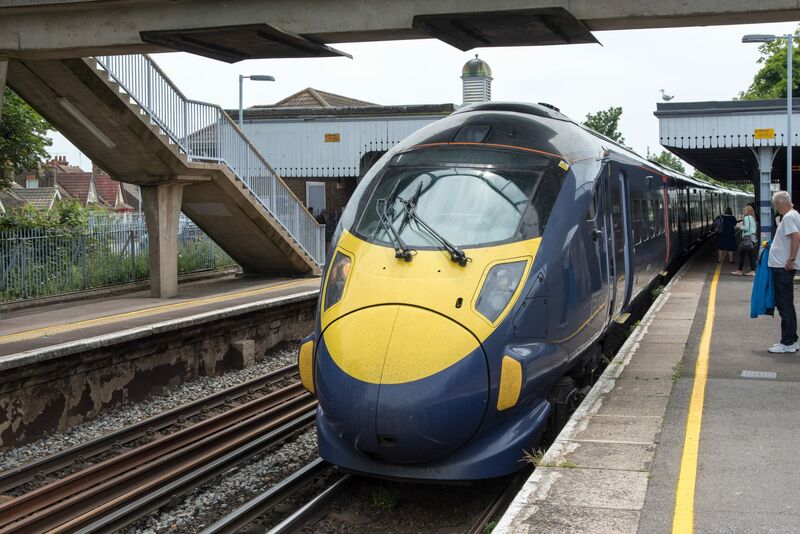 In the study, 73 per cent of surveyed tourism businesses in Kent said they believed that tourism has increased as a result of HS1 and 30 per cent of surveyed passengers said they were influenced to visit Kent by HS1 services. From 2010 to 2016, leisure journeys to Kent via HS1 have increased from 100,000 to 890,000. In the report, HS1 Ltd CEO Dyan Crowther said: ““The line has provided invaluable connectivity for visitors by reducing journey times from London and the continent drastically. “The ease of access to the region has subsequently catalysed regeneration, investment in new businesses and allowed Kent to grow what is now a thriving tourism industry. As Southeastern has got 29 Class 395’s. They could of ordered few more Class 395’s to maintain their highspeed domestic services between London St. Pancras International and Kent. As Southeastern are getting extra trains including 23 Class 377/5’s cascaded from Thameslink.